For just $4, grab the Real Deal with a double cheeseburger, spicy chicken sandwich, fries and a Coke. It’s the heavyweight Champion of Deals. 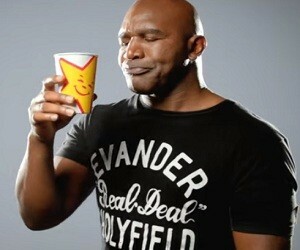 Only at Hardee’s and Carls’s Jr.